[avatar user=”cassie” size=”thumbnail” align=”left” /]During our week stay on the Pacific coast of Costa Rica, we also used to opportunity to explore the area and experience its natural wonders, from ocean side to mountain summit. 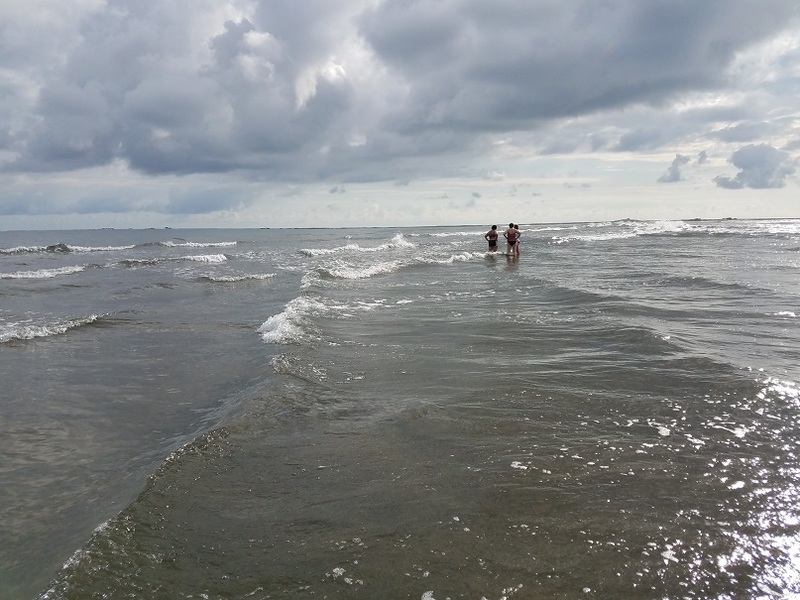 The first excursion was exploring the beaches of the area. Our first stop was a beach just down the road from us: Playa Piñuela and its rocky shores. Although we thought that the beaches would not be crowded because it was Christmas day, it seemed as though many families used the day off to enjoy a picnic in the shade. 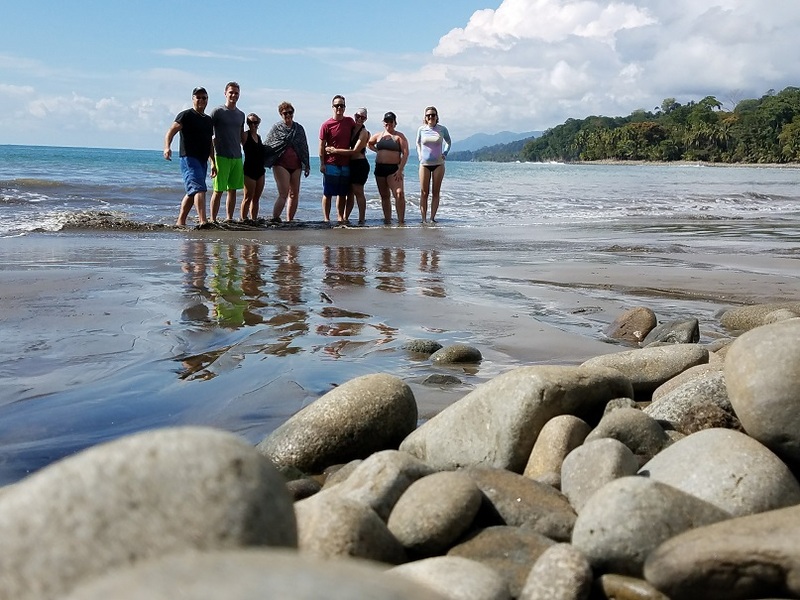 Since the rocks weren’t what we anticipated, we moved on to Marino Ballena. This beach is named for the whale’s tail shaped beach that appears in low tides. Here, even more people were enjoying the last few hours of Christmas day. Once we set up our station on the beach, scarlet macaws flew overhead to greet us. 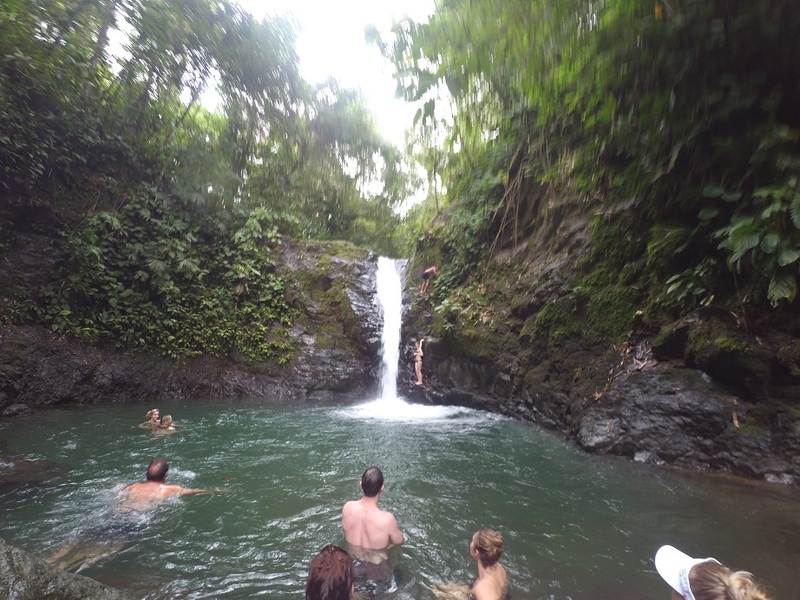 The next few days were spent chasing after waterfalls, the first being Catarata Uvita. Here, the waterfall was shaped like a water slide, so you could ride down its several foot drop if you dared (we didn’t manage the courage, though). The other waterfall we visited, Catarata Nauyaca, was tucked a few miles into a valley on a road that was only traversable by foot and horse (and truck, but at an additional fee). 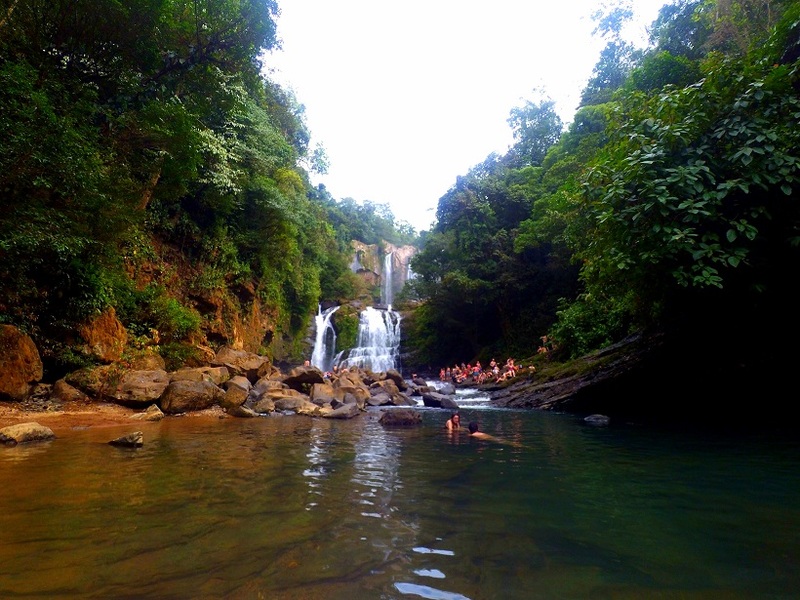 These waterfalls were larger and two-tiered, with the bottom basin being a refreshing swimming area after the tiring hike. 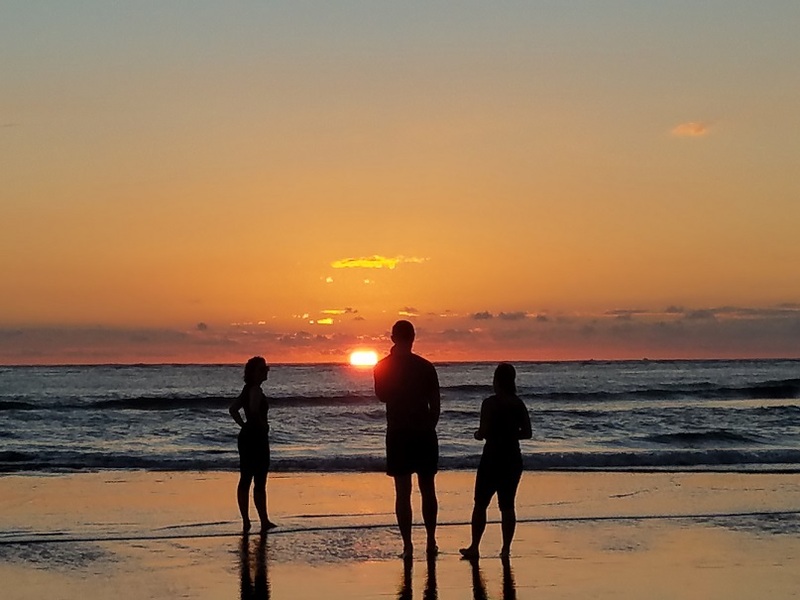 After visiting the Nauyaca waterfalls, we visited the young, surfer town of Dominical and caught the first sunset at Playa Tortuga across the way from Ojochal. 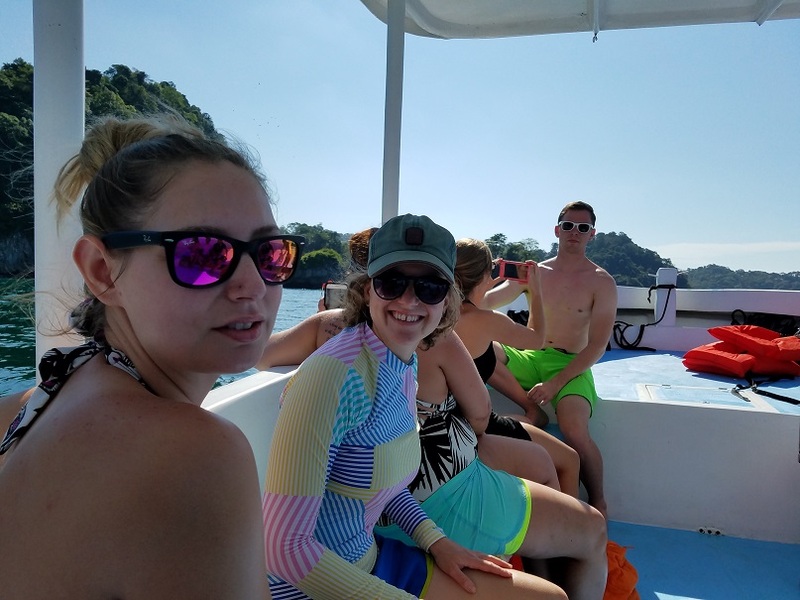 The next day, we ventured more north to Quepos, where we took a snorkeling trip near Playa Biesanz and Playa Espadilla. 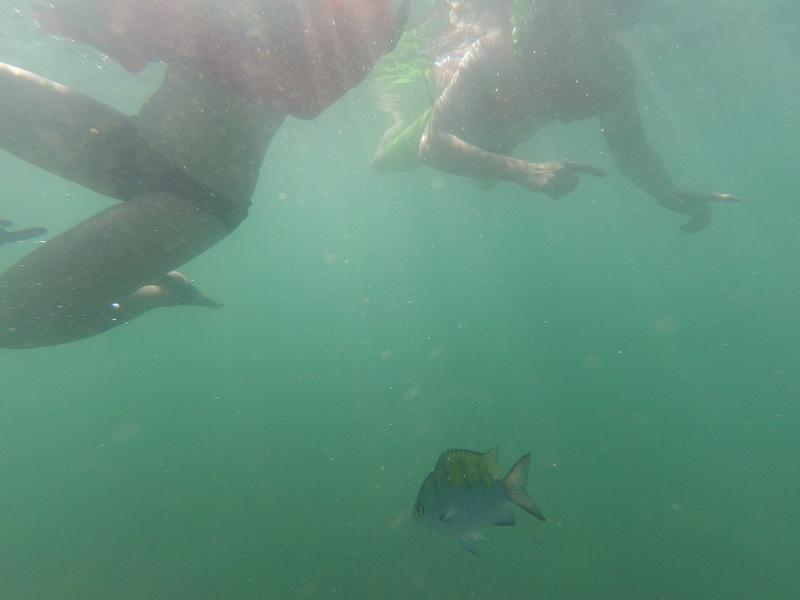 With the help of our guide and his pockets full of pineapple and shrimp to feed the sea creatures, we saw (and swam with) schools of parrotfish, angelfish, and damselfish. After lunch that day, we headed into the nearby Manuel Antonio National Park. 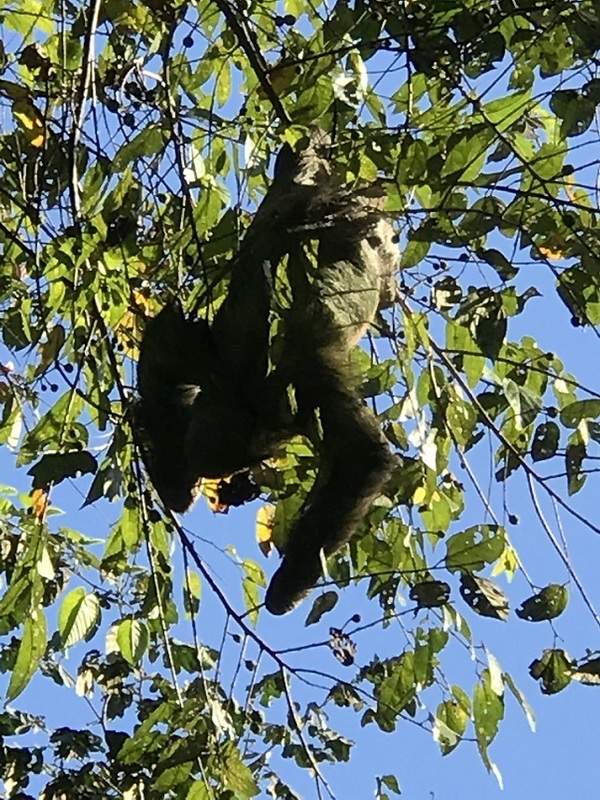 In addition to seeing the sea life that morning, the National Park was teeming with animals like sloths and monkeys. 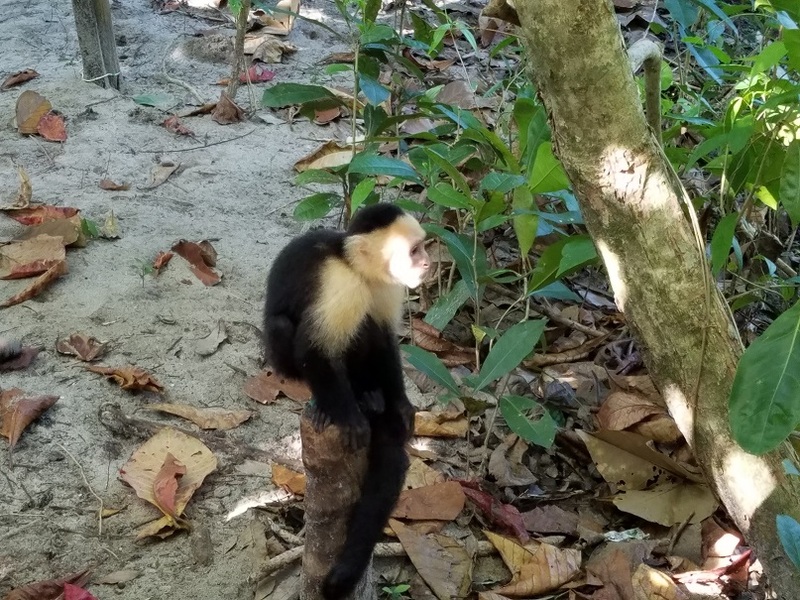 Just a few hours of wandering the paths of the park allowed us to see a great number of Costa Rica’s wildlife. 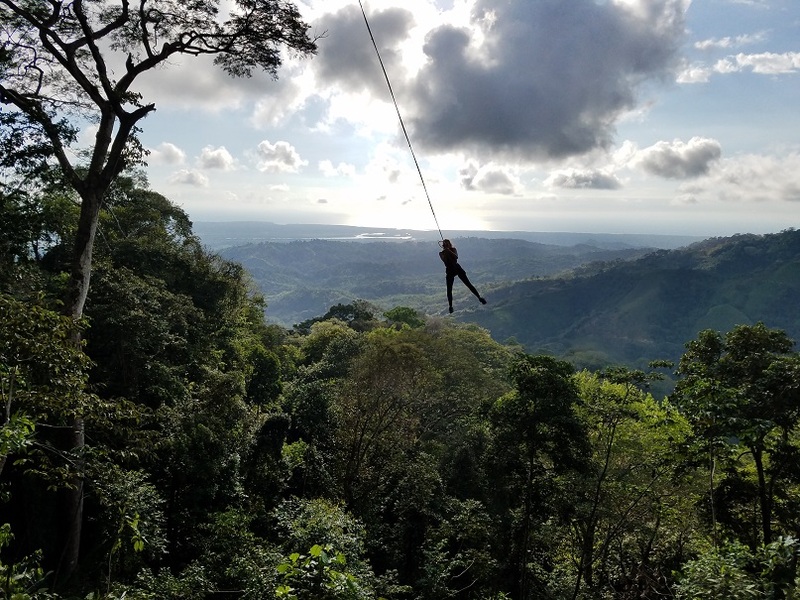 Our last day in Costa Rica was spent soaking up the sun, enjoying the pool, and zip lining through the forests near the Osa Mountain Village. In addition to speeding down 9 zip lines and two platform plunges, we were able to swing out above the forest canopy on a Tarzan line. After our adventure, we managed to see one last sunset before our drive to the San José airport the next morning.